School of Education strives to provide quality education, thereby providing quality Teacher Education, which in turn ensures better productivity and thus a better quality life to the associated people. Itm university decided to start a programme of Teacher Education which would fulfill the purpose of teacher preparation to develop his/her general education and personal culture, constructive and creative freedom to innovate, to devise appropriate methods of communication, activities relevant to the need, capabilities and the concerns of the community. Education touches every aspect of human activities. We believe that “No Nation can rise beyond its Teachers”. School of Education is committed to improving the quality of teacher education and to prepare future competent teachers. 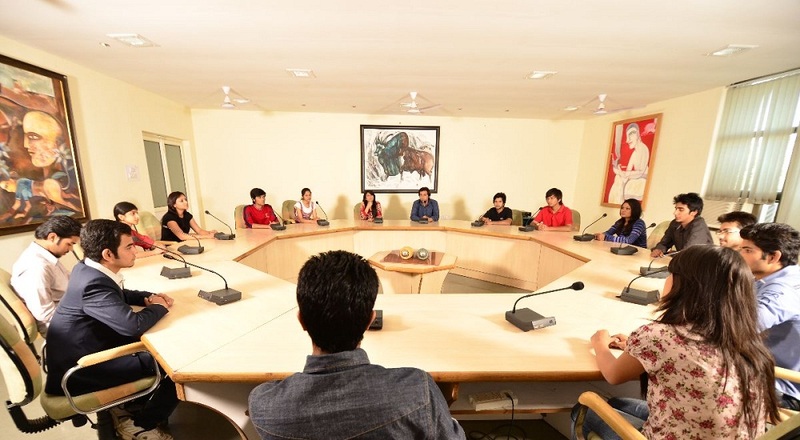 Our focus is on the overall development of personality of trainee teachers and to make them technology savvy and compatible to cater to the national and professional needs of elementary and secondary education system, aiming towards the idea of enabling the people to achieve maximum benefits from their educational experiences. The School seeks to continue as a leader in path breaking and interdisciplinary inquiries that shape educational practices and educational underpinnings. The School also seeks to develop knowledge, wisdom and imagination of its students to enable them to take stewardship in efforts to improve the quality of education in the state of Madhya Pradesh in particular and the National and Global context in general. Teachers are the most significant factor which influences the quality of education. To develop a component, skilled and creative Teacher, the teacher training institute prepares the future teacher who is able to perform his duties effectively and provide proper learning condition to the learner. Professional preparation of future teacher is the per-requisite for improving the status of teaching and to prepare our young generation to face the challenges of 21st century. Those, who poses an aptitude for teaching children, can take up courses like Bachelor in Education or B. Ed. So that after finishing the course, they can start as teachers in different subject. B. Ed. Degree is considered compulsory if you want to take teaching as your profession. Anyone can do Bachelor’s degree whether you are an arts, commerce or a science graduate. B. Ed. Course has its own importance. After this degree, you become efficient in teaching subject of your specialization on the basis of accepted principles of learning and teaching. The main aim of B. Ed. department of our Institution is to prepare future teachers who will be able to perform their duties effectively and is capable of correlating the theoretical and practical aspects of curriculum. To achieve this university possess. Two years training programme that integrators general education with professional competence. Well equipped labs to Improve the Intellectual and technical competence of student teachers. Special focus on computer education and personality development. Working with the community is an important part programme. Regular co-curricular activities to make the trainers more creative and Innovative. Many Universities in India after this course. Those who have pursued a bachelor’s degree in any discipline can join this course. B. Ed. Is a two years programme. The candidates can choose the specialization in this course depending on the discipline they have studied in graduation. The career opportunities for these professional are huge nowadays. They can get in to the teaching profession in various government as well as private institutions. The various employment areas for these graduates are school, coaching centers, education department, home Tuitions, educational, private tuition and so on. (A)Candidate with at least 50% marks either in the bachelor’s degree and / or in the Master degree in Sciences/ Social Sciences/ Humanities. Bachelors in engineering or technology with specialization in sciences and mathematics with 55% or any other qualification equivalent there to, are eligible for admission to the program. (B)The Reservation and relaxation SC/ST/OBC and other categories shall be as per the rules of Central Government/State Government whichever is applicable. Admission Procedure On merit, on the basis of the qualifying examination/entrance examination following norms of the concerned regulatory body and approved by Admission Board of ITM University. Name of the course – B. Ed. Laboratories are one of the characteristic features of education at all levels. It would be rare to find any education course without a substantial component of laboratory activity. It is taken for granted that experiment work is a fundamental part of education course. Thus the development of experiment skills among the students is often a suggested justification. Enabling students to personally experience the joy of discovering principles and relationships. Allowing students to actually engage in the doing rather than being a passive observer or recipient of knowledge in the learning process. Our laboratories are well equipped with required instruments and other materials. Psychological tests have been prone to possess great utility in many spheres like guidance, appointments, selection for tracing, classification, according to level of intelligence, prediction, diagnosis and research in the field of education. 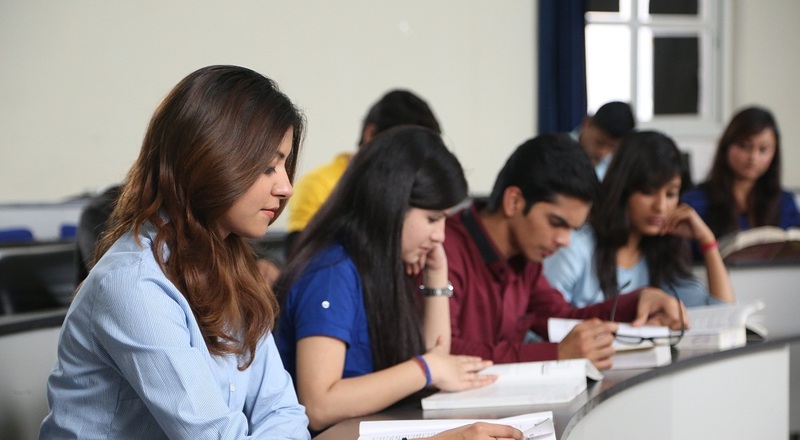 We have a psychology lab that trains the students in applying the knowledge of principles of educational psychology and techniques to facilitate optimum development of integrated personality. It provides First-hand experience to students teachers in conducting psychological aspects applicable to class room teaching-learning situations. The trainees conduct experiments in the lab under the guidance of psychology lecturers. We are having 25 computers with multimedia software and internet facility; UPS with back up facility for 24 hours.It is useful for making the power point presentations for the teacher students under the subject Information and Communication Technology. The faculties are computer literate. The aim of Language lab is developing the communicative skills of the Students. Well equipped English lab and Kannada lab are available. English Lab is having “Lingua phone”, Audio equipments with headsets and is helping the students to develop their English pronunciation and teaching method. It supports English methodology students to feel more comfortable in their practice sessions.Kannada lab is also having all the facilities which supports the teacher students to develop their style of teaching and involvement to the language and its culture. It is a portrait of Indian culture. It consist Art and Architecture of different civilizations of the world. It introduces students in the conduct of political, social and economical research using quantitative methodologies. The methods are examined in the context of specific research activities like public opinion surveys, comparisons of political processes in different countries and the evaluation of public policies. It also enhances the knowledge of geography and the horizon of everyday world. Different types of Maps, Charts,and Models are obtained in the Lab. Cultivating favourable attitudes towards mathematics. Making students to see the origin of mathematical ideas and participating in “mathematics in the making”. This help the student to develop a broad array of basic skills and tools of experimental physics and data analysis. It helps the students to understand the role of direct observation in physics and to distinguish between inferences based on theory and the outcomes of experiments and develop collaborative learning skills that are vital to success in many lifelong endeavors. It gives the student an appreciation of the way chemistry, as a science, works. Above all, the aims offer possibilities where the student learner can be challenged to think, to argue,to weigh evidence, to explore chemical ideas. There is an opportunity to make chemistry real, to illustrate ideas and concepts, to expose theoretical ideas to empirical testing, to teach new chemistry and as a source of evidence in enquiry and to learn how to devise experiments which offer genuine insights into chemical phenomena. It helps to learn the skills of observation and the skills of deduction and interpretation. The Intellectual stimulation is connections with the ‘real world’, raising enthusiasm for chemistry. The study of biology provides students with opportunities to develop an understanding of our living world. Biology is the study of life and its evolution, of organisms and their structures, functions, processes, and interactions with each other and with their environments. The knowledge of biology includes scientific data, concepts, hypotheses, theories, methodology, use of instruments, and conceptual themes. The students will use the processes and materials of science to construct their own explanation of biological phenomena. They observe, collect data and interpret data of life processes, living organisms, and/or simulations of living phenomena. The distinction between laboratory and traditional classroom learning is that activities are student-centered, with students actively engaged in hands-on, minds-on activities using laboratory or field materials and techniques. The Institute has its well equipped Art, Craft and Gardening Lab. All facilities like as Cutter, Glazed Papers, Velvet Papers, Handmade Sheet, Colors, Clothes (Tie & Die), Painting Brush and all other facilities are available for B.Ed. students. Tabla, Dholak, Harmonium, Basuri etc. Music lab facilities and Football kit, Cricket Kit, Badminton, Gymnasium and all other sports facilities are available as per NCTE norms for B.Ed. Students. 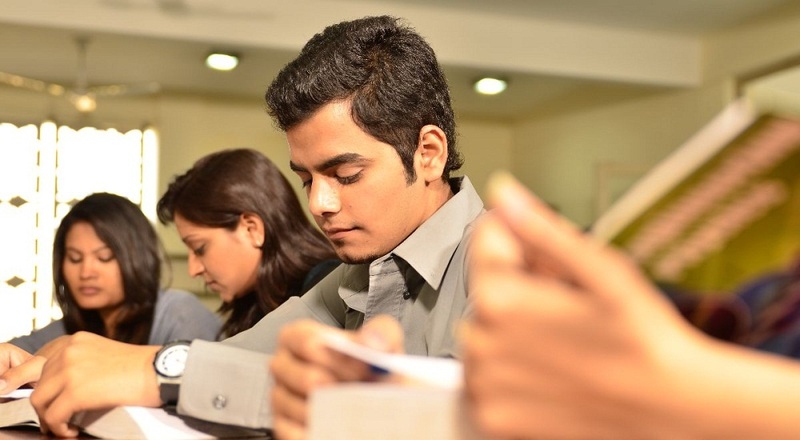 It is well equipped lab which has all the facilities for B.Ed. students as per NCTE norms. In the lab computer set, Micro Processor Control System, Web Camera, More than 20 head phones, Original CD with Keys and all other desired facilities are available for the students. We have also lingua Phone facilities for the students.